Click the image to open the video in a new window. A number of Republicans are urging their conservative family members and friends to cross party lines to keep Moore out of office. That’s unusual in Alabama. The state hasn't elected a Democrat to the U.S. Senate since 1992. Karyna, a fearless leader of Trans Queer Pueblo in Phoenix, Arizona, has faced many obstacles to become the woman she is today. Karyna, una líder sin miedo de Trans Queer Pueblo en Phoenix, Arizona, ha superado tantos obstáculos para convertirse en la mujer que es ella hoy. Dora, a strong leader of Trans Queer Pueblo in Phoenix, Arizona, fights for the rights of everyone, and particularly for LGBT migrant people of color, since the time her daughter came out as queer. Dora, una líder fuerte de Trans Queer Pueblo en Phoenix, Arizona, lucha por los derechos de todo, especialmente los LGBT migrantes de color después de su hija salió del closet. A month after the Orlando massacre, three friends who survived the attack begin the road to recovery. In English and Spanish with English subtitles. Latino therapists are using EMDR (Eye Movement Desensitization Reprocessing) therapy to treat patients dealing with trauma stemming from migration. Many of the patients are undocumented or are in the process of applying for visas such as the U (for victims of mental, physical, or sexual abuse) or the T (victims of trafficking). Created for Univision Noticias Digital. In Spanish with English Subtitles. Ana's Restaurant, a small establishment standing on the the picturesque Star Beach in Boca del Drago, Panama, represents a woman’s determination to provide for her family as time and seas change. See the full interactive documentary at undercurrent360.com. When Norma Torres' mother crossed the border without documents, she never imagined that 16 years later her daughter would be graduating from one of the most prestigious universities in the world: Harvard. 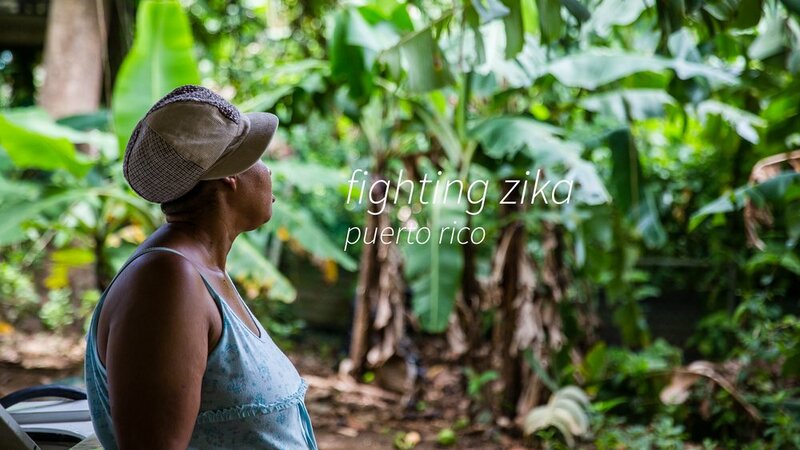 Puerto Rico is facing a growing Zika epidemic. Doctors and health professionals are attempting to combat it on every level, and especially through educating the public with an emphasis on pregnant women. Unlike other mosquito-borne viruses, Zika can also be transmitted sexually, so many health professionals are focusing on passing out condoms and condom education. And, because Zika has proven to cause severe birth defects in infants, there has been more conversation about family planning methods as well.